Script - check, Actors - check, Production - check; Now is the time to say ACTION! We are glad to announce the Great Indian Marketing Weekend, for which we have been working for months now! GIMW is a sales and marketing event that brings together clients and agencies over a weekend - clients give a problem statement, agencies pitch with their skills and then they team up to work together with mentors and expert workshops to support. After two days, teams present to the awesome panel of judges, resulting in client contracts, great media coverage and peer recognition. The event has tracks including GIMW Challenge, GIMW Mentors, GIMW Workshops. GIMW Challenge is a marketing hackathon with clients/managers stating problems and agencies/freelancers giving marketing solutions. GIMW Mentors is an awesome panel with marketing genius from companies like Pepsi, Glaxo, Mastercard, Times of India and many more. GIMW Workshops will be learning and training on subjects like growth hacking, raising venture capital, lead generation and zero-budget marketing. There is lots more, but under wraps as of now. The event is scheduled in mid-June and will be held in a city which the audience votes for. Please visit www.gimw.in, and get a chance to be a part of this great marketplace. 1. Platform selection - I decided to host the campaign and collect payments on Indiegogo, and the only reason was that it was international and much talked about already. I think it was a mistake - it did not do anything to promote my campaign, it does not allow paypal payments (thats a regulatory issue for Indian companies), and the % they keep as commission is very high. On the positive side, its a technically stable platform but the negatives are bigger. Next time, if I run a crowdfunding campaign, I will use my own website for donations or use Wishberry (I think it has a scaringly lengthy form) or Catapooolt (who promise marketing support). 2. Marketing your campaign - Almost 100% donations I received were from people who know me offline and online. I used email marketing, and social media extensively. I hosted the campaign on Indiegogo website on 15th March, and deliberately waited till 22nd to see if someone will donate or not - it did not happen. So it was clear that I had to do all the work to let people know about the campaign, cause, whys and hows! There is hardly a chance that your campaign will go viral and even if it does, you have to depend on your sources and contacts for final action. 3. Few statistics - Getting the first 5 people to donate was the toughest part, which was mostly due to inertia. Almost 0 people questioned the intentions or doubted the cause or the person behind it (myself). We received nearly 1500 $ (~80000 Rs) in a 15 days time from around 100 donors. I got a few requests after the campaign ended on 31st March, but I decided to deny them and move on to execution/operations part rather than continue with the campaign. Next time, I will chose a higher time frame and not close the crowdfunding campaign so fast. About 50 of these came through my FB contacts and another 50 via email - these included my batchmates from IIT Delhi, IIM Indore and many customers who have been a part of Nurture Talent or StartupYatra earlier. 4. Donation amounts - I had kept amounts as 5$, 10$, 100$ and 1000$ - of these 80% donors selected 10$ amount. Next time I will keep that as the starting point and limit it to 100$. The big ones who want to contribute 1000$ can anyways call me and discuss it, while those who can do 5$ can also do 10$! 5. Perks - It took me about 1 week to courier the t-shirts, startup study kits and other rewards to the donors. The bigger perks of 2-3 people are yet to be settled but that is more of a scheduling issue. Next time, I will try to keep these perks as virtual gifts like movie vouchers, or phone recharges - easier to manage and less chances of mistakes in address, pin code! Just a couple of days back, I received the donation amount from Indiegogo and the money shall be put to use shortly for organizing StartupYatra. For those who wish to know more and be a part of these awesome events, do join on www.meetup.com/startup-yatra. Till then, just be awesome. I had recently resigned from Onida and started Nurture Talent Academy, when Pranay Gupta, who was the Co-CEO of CII-E IIM Ahmedabad invited me for being a judge and mentor for their finance conclave and business plan contest. There would be many exciting entrepreneurs and investors present, he told me. 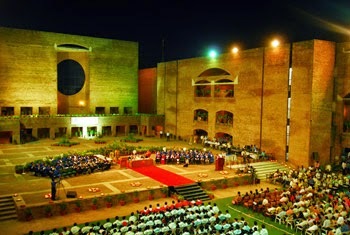 But my excitement was higher to feel the environment at IIM A, more than networking with people! I had been to Ahmedabad a couple of times earlier too (once on a field visit at Asian Paints, and another for a field visit at Onida), and was really impressed with the love and respect people out there give you, but did not get a chance to visit IIM A. No wonder, I was quick to say yes for the event. It was just an hour by flight from Mumbai and when I landed in Ahmedabad, I saw another friend joining me at the airport on the way to the college - Anand Lunia (currently venture capitalist at IndiaQuotient and earlier at Seedfund). The 1 hour journey from airport to IIM A was wonderful. Anand is a story teller, and has worn hats of an entrepreneur, VC and angel investor in his short life. He is among those investors in India who will say no or yes instead of "we want to see more traction" or "send me regular updates about your progress" types! And finally I landed at the new campus where CIIE was headquartered. I met Pranay, and took a quick guided tour to meet the incubatee companies. I recall meeting Vmukti which was working on a virtual meeting platform. And there was a travel venture, which I have somewhere in my archives. I also made friends with Kunal Upadhyay, CEO of the incubator, and we instantly connected on our common passion of entrepreneurship development in India. Then the main action started - we were led to one of the classrooms where few startups were waiting to present before the judge panel. The judges included Hemir from IDG, Mihir from GVFL and few others along with myself and Anand. For next couple of hours, it was great fun. I saw exciting presentations from few startups like Exergy, iDubba, Khojguru, MSI Biotech (some of these are huge successes today in their respective domains while others have moved on to other big things). In one of these pitches, the entrepreneur said he is looking for 40 crores valuation, and the investor replied, "I dont even want to talk to you". The situation got tensed for a while :-) One of the best things I realized is most of the event was being managed by the students, there were hardly any faculty involved - and I think this is the first step any college can take to be among the best. While other judges left for the day, I chose to spend some time with startups and students at the canteen. Most of them had the same question - how to get a job in a VC firm? Ofcourse, a couple of years later when I went their again, the tone had changed to how to become a successful entrepreneur! The best discussions happen when you order a Maggi in the college canteen. In next 4 years, I visited nearly 400+ colleges, and each was a different experience. By the way, I do not think IIM A has the best designed campus - I think that honor goes to NID Ahmedabad, and another one that comes close is SCAD Engineering College in Tirunelveli. But I should use my heart more than my brains - I love my alma mater IIT Delhi and IIM Indore. Next time, maybe! Rarely do you come across a person whose individual profile itself reads like a Who's who, and that is exactly what I felt like when I met Ranjan Kapur at Mumbai Angels investor presentation for the first time in January, 2010. I had recently joined Onida, and had read that there is an "advertising guru" who is on our board. In any company, Board of Directors are like the MPs in parliament - they make policies that others have to follow. So naturally, respect is something they get by default. But the moment I met him personally in that Mumbai Angels group, I had a new-found respect for this genius behind the marketing success of many brands. I had read case studies during my IIM days of many brands including Pidilite (Fevicol), Asian Paints, Onida, and now I could see the brain behind the brands. But more than the brands, it is his nurturing of people that has been his ace through out, as many people like Piyush Pandey who have worked with him may have known. 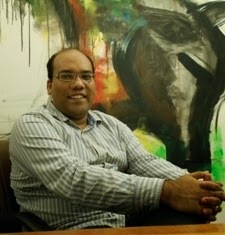 Ranjan has a keen interest in Indian advertising, entrepreneurship and startup eco-system. Being an angel investor himself, he was able to recognize the potential offered by companies like Inmobi, Apalya and many others. Whenever I got an investment proposal for Mumbai Angels, he would be the first person I would speak to or mail and take feedback on its marketing potential. Unlike many other big shots in advertising world, he has keen sense of new age marketing, digital, internet, mobile and out of home. Every other advertiser says, "lets do a TV ad", while Ranjan would point what is good for the consumer and the brand. When you are the person who runs the world's largest communications company in India, you really need to love the small things to foresee how big they will become in future. For past few years, Onida's brand has taken a hit and at the same time we have witnessed the stupendous rise of MNC brands like LG and Samsung. Ranjan has been one of the most vocal and active person who believes Onida's brand is the biggest competitive advantage but it has to rejuvenated and invested in. However, what he did with Onida's brand over the years has helped it survive for last 30 years, else it could have been worse. Imagine - there were 500+ companies who got the license to start a TV business 30 years back, and hardly 1-2 survive today including Onida. I also admire his work related to social and CSR, where his time and effort has been a big pull for others to follow. As they say, managers change businesses, leaders change industries! My personal salute to this great contributor! If you wish to connect with Mr Ranjan Kapur or WPP team, I will be glad to make an email introduction. It was in April 1995 that I changed schools and with it a lot of things. I studied in an "only boys" school, St Aloysius in Kanpur and as it was only till 10th Std, I had to shift to a new one after ICSE board exams. There were 2 choices - Jaipuria School (which was for the rich guys) and Methodist High School (more affordable, convent style). And both were "co-eds", so all the more fun! I chose MHS. It was in MHS that I first met Aloke. He was one of the toppers of his batch, and also the "khurafati" types, so we immediately connected. I had anyways little hopes of striking it with the girls gang at MHS, being an outsider having just 2 years to go together. Like majority of students, we decided to prepare for JEE (India's popular joint entrance examination which gives you entrance to IITs). And like lot of other student groups - we joined forces. We joined the same coaching for PCM (to get group discounts), took different correspondence classes (and shared material), did co-studies alternatively at my place or his and took turns cycling to coaching classes (with one driving and other as pillion rider). After school, we had parallel journeys - he went to IIT Kanpur, I went to IIT Delhi; he joined Amadeus after graduating, while I joined Infosys; he did MBA from INSEAD, and I chose IIM Indore; he started Ixigo.com and ...this is where I did not match him. 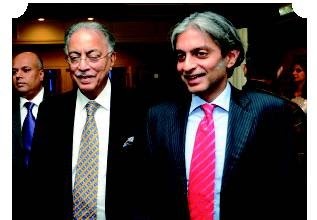 I joined Asian Paints, then Onida and Mumbai Angels and much later Nurture Talent Academy. Today, Ixigo is one of the most loved travel venture in India, with millions of downloads of its apps, daily visitors to its website, 1000s of airlines and hotels as partners and almost 100 employees. It has really taken off from the humble beginnings, then went to raise angel funds from Singapore investors, and later selling strategic stake to Makemytrip and SAIF Partners. Success has not changed Aloke much, and he continues to be warm and omnipresent in almost all entrepreneurship initiatives in India. In one word - "Persistence" - I have closely watched Aloke since inception. In 2008-09, a leading venture capitalists gave him a term sheet and promised to invest a few million dollars. Just few days before giving money, they backed out. That did not make Aloke weak, but strong. Every business goes through this crisis some or the other stage in their life cycle, what matters is how you react. I wish Ixigo and Aloke thrive and take many more people together with to a grand success. If you wish to connect with Aloke Bajpai or Ixigo team, I will be glad to make an email introduction. Sometime in July 2009 I got an invite for being a part of Proto in Pune - an event where startups could launch and showcase their prototypes. It was to be hosted in Persistent office and I was told "someone from CNBC" will be there for moderating the panel discussion. I was naturally scared, having never dealt with media people, but it turned out to be lots of fun. Thats where I met Shradha Sharma, founder of Yourstory for the first time. We instantly connected and her passion as well as determination for supporting small entrepreneurs was visible. Though she herself was a beginner, she was using all her media experience and connection to bring spotlight to the early stage startups. But like many other startups who do good work, she was not making money in her venture! That obviously did not deter her from covering more startups. Next time we met in Mumbai, and I remember she had a small notepad and was making a list of all that I had to tell her. Conduct offline events, focus on sector wise stories, build city-wide versions of yourstory, invite big shots to author articles for yourstory - these were a few things I suggested - some I could see get implemented and some others which were not over the next few years. Cut to Jan 2010 when I started Nurture Talent. I had few strange experiences - many people who were too enthu to meet me and would call me to seek investments from angel investors suddenly stopped picking my calls! But Shradha was not one of them. She gave me free ad space on her website, mailers and helped me in doing focused PR. I authored some articles and she published them instantly, which helped me reach out to the right audience. 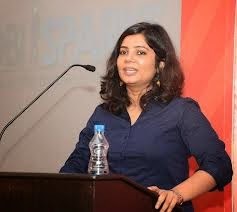 Unlike many other media people I know, she had no attitude, and I think that quality makes her adorable to lot of startups including me. Some of her qualities are imbibed by the YS team, and I had lots of fun interactions with Akash, who was handling YS website from Jabalpur those days. There was a brief time as we lost touch when she suffered a personal tragey, shifted to Bangalore. What I learned from Shradha? A key lesson I learnt from Shradha Sharma is not to worry about your means or your background, or your constraints. It does not matter if you are not from IIT, or from a small town in Bihar, or do not have a venture capital backing, or experienced team - just do what you wish to do and one day you will definitely achieve your dreams! Meanwhile, it makes me proud to see the expansion into variety of things - Techsparks, SocialStory, Edusparks, Mobisparks and many more. I guess that the number of stories covered in last 5 years has crossed 10000! There is hardly a doubt what the Techcrunch of India is :-) And I hope Yourstory is making lots of money to sustain their team, growth and achieve their vision. If you wish to connect with Shradha or Yourstory team, I will be glad to make an email introduction. Rarely do you come across people who make you feel you have always been connected and known them for years! Phanindra Sama, CEO and founder of Redbus.in is one such person - unassuming, always smiling and very responsive. It was sometime back in 2010 when we connected over email - he wanted some updates about my entrepreneurship workshops and I was glad to see that coming from a person who has always been helpful for startups. Over next few days, we spoke on phone a couple of times, I invited him for a tele-conference for budding entrepreneurs (he was in Bangalore, I was in Mumbai), and as mentor-speaker for a Microsoft sponsored conference (that is when we met face 2 face), and multiple times I would have seen him on stage at some or the other events of CII, GSF and all. Every time it felt nice to see the growth that he was leading for Redbus and for his personal self. But "the nice guy" image that I felt he had never changed for me. One of the ways to judge your connection is the speed with which they respond to your sms or email - and that is where Phani has been superb (not only for me but also other people who know him). Back in 2012, I was doing a summer training for few college students and startups, and I wanted them to have a real experience of how a startup works, how the office looks, and see the processes behind a venture. Although Phani was not in town, he made quick arrangements and ensured his Product head, Rajesh, to host us. Many people believe that Redbus is just a website - but it is just a part of such a large business, which includes call center, customer care, operations, marketing, content, vendor management and lot of other things. That is the biggest learning I guess my workshop students took that day - never see an idea as just a website! A year later, it made me proud to read that Redbus got acquired for 800 crores, and it was great to see the success of a young entrepreneur who came out of BITS Pilani just a few years back. I am sure few years later Phani will become a great angel investor, and maybe churn few more movies where he will not be the star, but the producer. If you need any help in connecting with Phanindra or Redbus' team, I will be glad to make an email introduction. There is lot of speculation going on about Myntra's merger talks with Flipkart, and India's booming ecommerce sector. Things were just taking off 7 years back, when around March-April 2007, I took a flight to Bangalore from Mumbai. 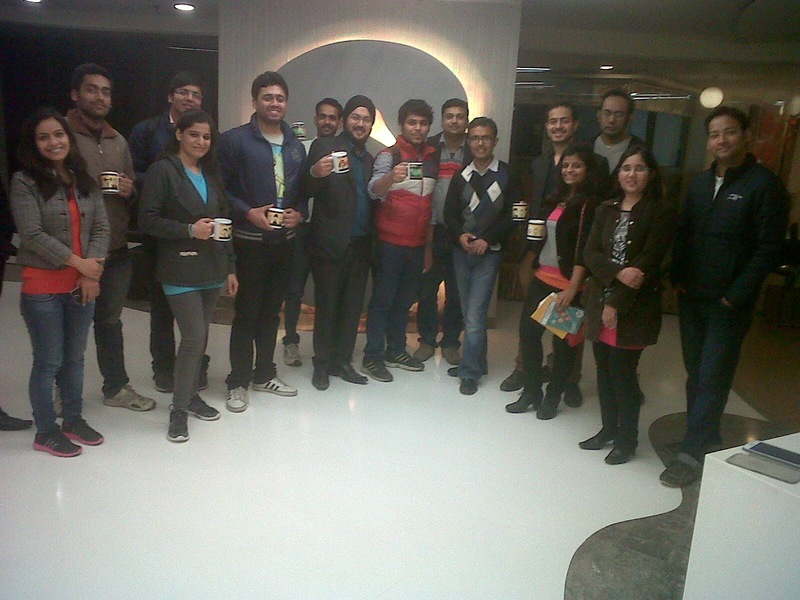 The purpose was simple - due diligence meeting with team of Myntra led by Mukesh Bansal, CEO and founder. A few days prior, Sasha Mirchandani had shared with me the investment proposal of Myntra, and the vision was simple - "The Power of One" - how to deliver a unique, customized product to Indian customer. Internationally, websites like Cafepress and Zazzle were doing wonders, and I had a call with Mukesh on the potential of his business model in India. The first thing that impressed me about him was that he was very humble, down to earth yet very strong and convincing. He had worked in USA after passing out of IIT Kanpur and the desire to do something in India for India was strongly coming across. I spend some time looking at Myntra website, which was pre-launch and there were little bit of omissions, spelling mistakes etc. and I promptly informed Mukesh. By the time I reached Bangalore for the face to face meeting (Facebook is ok, but face 2 face is must! ), most of them were taken care of. When I reached HSR Layout office of Myntra - it was in a 2 storey building with ground floor as a home (with a baby playing and crying alternately) and 1st floor as an office with few computers and young team coding away. I sat in a small room, which was converted into a meeting room, and listened to Mukesh's grand vision of ecommerce and Myntra. Shortly, he invited all his 6 other co-founders and we had an intro one by one. Some of them turned out to be friends of friends from my own IIT days! What was clearly visible was that there was a special bonding among them, while clearly Mukesh was the leader. It felt awkward for me that I was the one doing due diligence on such a bright team, and trying to discover any red flags, which were not there. Then we took a round of the office, where I saw how printing is done on a plain t-shirt (using a hot press), then Mukesh himself packed it and marked it for delivery. We went out for lunch and it was a great experience seeing the hospitality of the team. In a few months, the deal was finally done - Accel Partners were co-investors along with few other angel investors. It was 31st of August when my boss, Gulu Mirchandani, wrote 3 cheques for Myntra, Canvera and TAS. And it was a great feeling for me personally to have overseen all the investments! What I learned from Mukesh Bansal? 1. Commitment - we used to have a tele-conference for 15 minutes every week, usually around 9 AM on Tuesday, and I remember once Mukesh took the call from Singapore where he was about to board a flight. There were no excuses, postponements or round and round stories. Commitment is commitment! 2. Work ethic - right on the 5th of each month, we would get a presentation having 10-12 slides containing monthly performance updates, and future plans. And the sheets were clean, precise, relevant - nearly perfect. I have never seen such methodical work from any other CEO in my life. 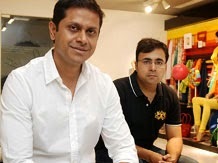 Few years later, Myntra pivoted to a fashion ecommerce business model, and has never looked back since that time. We rarely stay in touch, but I am grateful that part of my experience comes from what I learned from their team, and I wish all the very best to Mukesh and team Myntra! If you need any help in connecting with Mukesh or Myntra's team, I will be glad to make an email introduction. I have met over 30000 people personally, and everyday I will tell a story about someone who has been a part of my life. 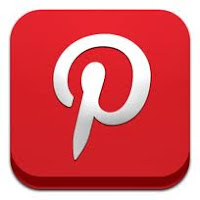 If you have a suggestion or feedback, feel free to connect with me on my social networks or mail me. In late December 2006, few great things happened for me - TIME magazine named me as "Person of the Year", I joined Onida after leaving my job in Asian Paints and for the first time in my career, I was introduced to entrepreneurs and entrepreneurship! Gulu Mirchandani, the Chairman of Mirc Electronics, is a simple person, fondly referred as GLM. At that time, he was looking for some IIT-IIM guy like me as a special assistant to take care of his variety of responsibilities as head of a ~1500 crores venture, which sells nearly 10 lakh TVs even now! I had a first cut interview with HR Head of Onida and immediately after that he said let me take you to the 2nd floor for a meeting with GLM. It had 2 large cabins, one for GLM and another for VJM (Vijay Mansukhani, MD of Onida). And there was a large boardroom where GLM welcomed me with a warm handshake. He had a glow on his face, and so much energy we did not need lights to lit up the room. He started by asking me about my work in Asian Paints and immediately started referring to market share, volumes, revenue, brand, performance - things which even I was not aware outside of my branch. That day I decided I will definitely take up whatever role he offers me - the time spend with him will compensate for every other stress or work quality issues. And so it did - for next 3 years, I went through a roller coaster ride in my career while at Onida. What I learned from GLM? 1. Patience - do not hurry in doing something, think through a situation before taking a decision. 2. Treat people well - GLM is himself a BITS Pilani engineer and a successful entrepreneur for 4 decades, but there is no attitude around him. I hardly saw him shouting at people to get work done. 3. Passion - even while being a 60+ year old person, GLM was in office around 9 AM and never left before 6 PM. And whenever there was a pending work, he used to call me while on his way home to ensure it gets completed before deadlines. Imagine - with his money, achievements, respect, experience and accomplishments, he did not even need to work, but he still did - that is passion! 4. Give sensibly - GLM had to mortgage his property to start his venture decades back, and today when he has funds, he turned into angel investor. But he does not spend to show off. Being value conscious and respecting your hard earned money while giving back to the society is a mark of a true statesman. What I learned from Sasha? 1. Managing time - In a country like India, where people do not have respect for time (of others or their own), Sasha was like a stop watch. No chit chat about faltoo stuff, to the point, focused on the agenda at hand and continuously taking notes - thats what makes him so efficient. 2. Identify talent - Sasha made some of the best early stage investments in India (Myntra, Inmobi, Greendust, Healthkart, Canvera among others). And he always looked for the team behind the big ideas! 3. Learning ability - Sasha's handwriting is like Indian doctors :-) But he made it a point to write as much while in meetings and always willing to learn new methods for improving his handwriting (for example - writing in capital letters instead of small). There are many more learnings but may be I will tell that in some other story. Between December 2006 and December 2009, I had some of the best net practice in entrepreneurship, before I resigned to start my own venture. It has been now over 4 years since I left Onida and started Nurture Talent Academy, but these 2 are my mentor, friend, guide and well-wishers and will always be. If you need any help in connecting with GLM or Sasha, I will be glad to make an email introduction.